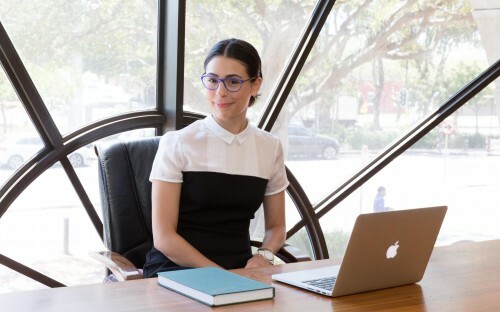 Ana Garcia Barrera always wanted to pursue an MBA internationally. For her, living abroad and learning from day-to-day experiences is one of the best ways to learn about a new culture. She also realized that she needed some fine tuning of her business skills and saw an MBA at EMLYON Business School, with a specialization in luxury management, as the perfect tool to equip her for further career development. Having worked for a luxury real estate development company in Mexico before her MBA, she’s now changed career tracks to the solar energy industry in South Africa. For her, the MBA is a great enabler for individuals to evaluate and change their current path, whether it’s location, industry or job role. How has your MBA helped you change industry? The MBA taught me how to approach a new job. It taught me to do my research, engage, ask questions, breakdown the different components of the company and understand the industry. It taught me how to manage people, how to work with international teams and cross-cultural teams, dealing with a new managers and management structures. And it showed me how to provide innovation to the team efficiently and effectively. You come fresh with new ideas and models of the modern work place, but to implement this innovation you need all the communication tools and negotiation skills to motivate change. Both of the companies I have worked for are developers, so in a way the job structure is the same I just develop different things (real estate vs solar power). Has your MBA prepared you for a global career, shifting to South Africa from Mexico? I moved from working in Monterrey, Mexico to an MBA in France and then after that to Cape Town, South Africa. I have found that the world is very international and globalized. At the end of the day, revenue, sales and profit are the same language everywhere, but what my MBA has helped me with was how to engage with intercultural relationships. The human aspect is one of the most difficult ones. How to engage and motivate people with a different background, religion and home country is monumental. The human aspect is what makes a company grow and move forward, and it something that you never stop learning from and never has just one answer. Why did you choose EMLYON for your MBA? I chose EMLYON as it offered an MBA with a specialization in Luxury Management. This gateway provided insights to many of the world leaders in luxury, from supply management to branding. Many of the insights were provided by specialists in the industry, from Hermes to LVMH to market leaders from France and India. France is the capital of luxury and interestingly enough a lot of the manufacturing is done in Lyon. Lyon is also a wonderful place to live. What advice do you have for MBA students considering switching careers? There are three changes you can make after your MBA: industry, location or role. But I’d say focus on one. If you are willing to change two or three, you must understand that it will entail a bigger sacrifice and effort. For example, looking for a job in a different country with the same position and industry will be easier than trying to look for a job in a different country sector and role. The MBA gives you the experience and networking skills to design the career path you want. You need to approach job searching as a project and be true to yourself on what you are willing to change in order to achieve your goal whether it’s industry, location or role.